Welcome To The Sweet-N-Saucy Blog! It’s so hard to believe that 2014 is right around the corner, isn’t it? It seems like only yesterday that we were ushering in 2013. Time sure does fly by! Once the holidays are over, it’s time for many businesses to begin planning their strategies for the new year. This usually results in a lot of meetings and some pretty late nights. If you’re a business owner, and you’re looking for a way to treat your employees to something special during these planning meetings, why not have Sweet-N-Saucy cater them? Let’s face it, no one looks forward to these long, drawn out meetings. 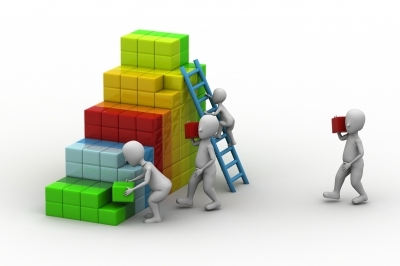 Especially when there are many tough decisions that need to be made to prepare your business for the coming year. However, you can revitalize everyone’s spirits quite easily when you promise them that they’re going to have an awesome lunch (or dinner)! If you take a quick peek at our catering menus, you’ll see that we have a wide variety of foods to choose from. You’ll be able to accommodate everyone’s tastes and food preferences, regardless of whether they’re vegan, or they need gluten-free food. We make it really easy for you to plan a meal for everyone. Not to mention, you’ll also want to include something a little bit sweet to end their meals. Once everyone has had their fill, and they’re re-energized, you’ll be able to refocus their energies on your company’s planning strategies for the new year. Plus, you’ll also have a roomful of happy employees who are more eager to get the work done. We love helping both small and large businesses through our catering services. Whether you’re having a luncheon for everyone in your company, or you’re planning on a small “meeting of the minds” with just your corporate executives, when it comes to the food, make sure you don’t have to worry about a thing. Let Sweet-N-Saucy in Big Flats, NY take those concerns off your mind, leaving you to focus on making 2014 even better for your company. If you’d like to talk with us about our catering services, we’re eager to hear from you! Contact us today! This has been a wonderful Christmas season, and here at Sweet-N-Saucy in Big Flats, NY, we’ve enjoyed a very busy, yet very blessed holiday season! 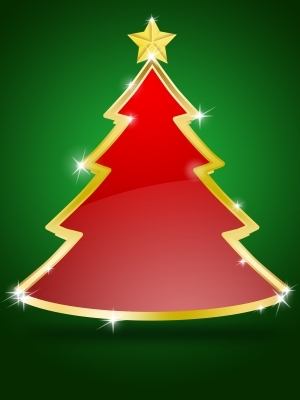 Today is Christmas Eve, which is the day when most people are either doing one of two things: Some of them are sitting back, relaxing, and enjoying some time with their close friends and families. Others are running out to purchase some of those gifts they forgot about, or that they’ve put off buying. Either way, tomorrow is Christmas, and you’ll be able to give a big sigh of relief that all of your holiday bustling is over. We have been so blessed this year, because we have enjoyed a wonderful, prosperous year in our new location, here at the Wings of Eagles Discovery Center. It’s been a bit crazy at times, that’s for sure! However, there’s nothing that we enjoy more than helping you, our customers, get ready to celebrate your own holidays with the people you love the most. If you have received a cookie tray, if you’ve used our catering services for a Christmas party, or if you’ve simply stopped by to enjoy a delicious lunch, along with a warm cup of soup during your shopping sprees, we would like to say thank you. You are the reason we love what we do, and you’re the reason we’ll continue to provide excellent food and catering services to the people of the Twin Tiers during the coming years. Remember, if you’ve ordered some last-minute cookies, desserts or other delicious treats, we’re open today until 11 for you to pick everything up. Stop in and see us! We’re excited to be spending tomorrow enjoying the day with our families, and we can’t wait for the opportunity to serve you, our valued customers, once again in the New Year. Be sure to contact us with any requests for your New Year’s Eve party! 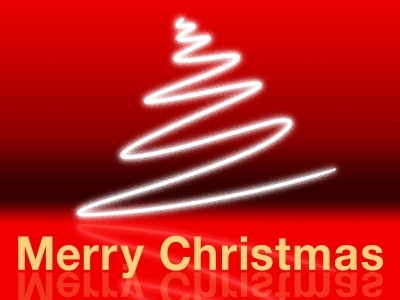 From everyone here at Sweet-N-Saucy, we wish you all a very Merry Christmas! It’s hard to believe that Christmas is only a few days away, isn’t it? It sure does seem like the holidays seem to fly by faster and faster every year. Hopefully you have most of your shopping done, so you can sit back, relax, and enjoy Christmas parties and other holiday celebrations with your friends and family members. However, you won’t want to sit back and relax for too long. Many people wait until just after Christmas before they even think about what they’re going to do to celebrate New Year’s Eve. What about you? Are your plans in place? Do you always have a terrific New Year’s Eve party? Maybe a big party on the last night of the year has become a tradition for you, or maybe it’s a tradition you’d like to begin. Either way, it’s the perfect night of the year to get together with family and friends to celebrate your accomplishments during the past year, as well as to talk about what the year ahead has in store for you. You might have seen our post on what can happen when you fail to make adequate catering plans during a Christmas party. Without a doubt, New Year’s Eve is the biggest night of celebrations we see all year long. It makes sense to “do it up” right, and only work with the best catering company so you can avoid any disasters like we described in that disastrous blog post. 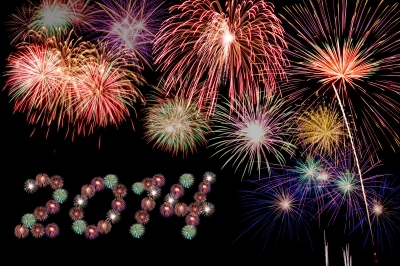 What are your New Year’s Eve catering needs? Maybe you have a meal that you make for your family every year, but you’re not really good at baking. We’d love to supply you with a few of our incredible cookie trays, or even bake some pies or a cake for your family to enjoy. Or, perhaps you’re planning a big party, and you’re inviting lots of people you know from work. Whether it’s an intimate get together in your home, or you’re renting out a local hall to have your party, Sweet-N-Saucy in Big Flats, NY is available to take care of all of your catering needs. Once you visit our website, you’ll see that we have a great selection of meals to choose from, with just about anything you can imagine. You can browse our full catering menu to see what we have to offer. As far as service goes, you’ll get a personalized catering plan that designed for your specific needs. 2013 has been a great year for us, here at Sweet-N-Saucy. We’ve moved into our new location at the Wings of Eagles Discovery Center, and our business has grown. We’d love to have the opportunity to celebrate the end of a great year with you and your family, while we look forward to an even greater year in 2014. If you’d like more information about Sweet-N-Saucy catering, contact us today! It’s the holidays, and with Christmas right around the corner, shoppers are bustling around, trying to get everything they’ll need for the big day. Everyone is doing their last minute party-planning, and here at Sweet-N-Saucy, we’re busier than ever, working on fulfilling all of our customers’ wish lists for their holiday parties. As you’re shopping, whether it’s the stores you choose to visit, or the restaurants where you choose to have your lunch, we’d like you to remember how important it is to support small businesses in the Horseheads and Big Flats area. Small businesses are the heartbeat of our community, and they help to keep us growing. When you support small businesses, you’re keeping your hard earned money right here, within our very own community. When small businesses grow, the economy where we live grows too. That is so important. Of course, there’s also something to be said about what you get when you visit a small business like Sweet-N-Saucy during the holidays, too. If you’ve gone out for a Christmas lunch at one of the surrounding chain restaurants recently, you probably weren’t very happy with your experience. At many of them, the food certainly looks better (and bigger!) in the pictures than it does when it’s actually delivered to your table. You may have also gotten the sense that the service at some of these places isn’t exactly spectacular. Things are very different, here at Sweet-N-Saucy. When you pay us a visit, whether you’re out shopping, you want to catch a quick lunch with a colleague, you’ll be treated like a friend from the moment you walk through our door, here at the Wings of Eagles Discovery Center. You’ll receive prompt attention, and once you take a glance at our huge lunch menu, well, you’ll probably take a while to decide what you’d like to have. However, once you get your meal, you’ll be impressed from beginning to end. 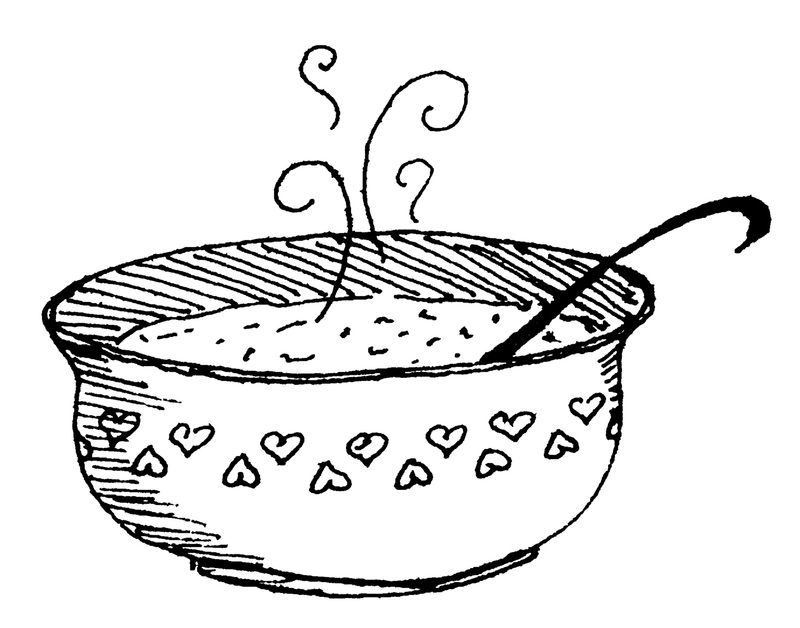 Be sure to stop in soon and try one of our delicious hot soups, which are perfect on these cold, winter days. If you’re planning a party and you haven’t found anyone to handle the food, we’d love to help you with that too. Our catering service is out of this world, and you’ll be so happy you choose a small business to handle your party rather than a business who isn’t as focused on your happiness. Supporting small businesses this time of year is so important. Why not stop in and give Sweet-N-Saucy a try? We’re eager to see you, and you’ll be eager to come back for more. For more information on all of our services, contact us today! You want everything to be absolutely perfect. Why else would you begin making plans months, or even years, in advance? Your wedding is the one day of your life when you get to be the center of everyone’s attention and admiration. You take pains to plan out every detail. You try on dozens of wedding dresses before you find one that seems as though it was made for you. You quiz your friends and family members to find out which vendors they recommend, and which ones they suggest you steer clear from. Then it becomes time to find your caterer. 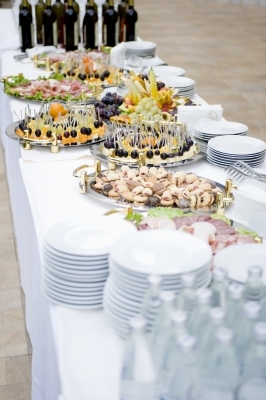 Hiring a wedding caterer is very important because everyone will remember your reception by the food. 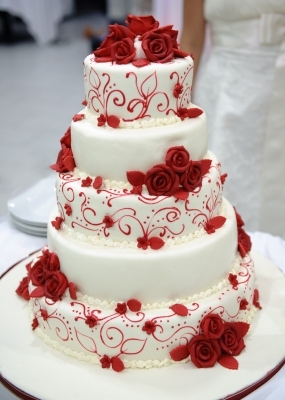 What might be even more important, or at least equally important, is the selection of your wedding cake. From the moment your guests walk into your reception hall, they will begin looking for the location of your cake. They’ll gather around it and ooh and ahh over its beauty, and each person will begin wondering what that first bite will taste like. They’ll talk about whether or not you’ll freeze the top of it to enjoy together on your first wedding anniversary. They’ll discuss how the cake-cutting ceremony will go too. Will you be nice and gentle with each other as you feed each other that first bite? Or, will you smash it into each other’s faces? Yes, your wedding cake must be perfect too. That’s why you won’t want to entrust the making of your cake to just anyone. Just because your aunt promised you that she made a gorgeous wedding cake ten years ago, doesn’t mean that the cake she designs will be up to today’s standards. When you choose Sweet-N-Saucy as your wedding caterer, we design every aspect of your reception according to your exact specifications and needs. That includes the cake. We love coming up with masterpieces for our brides and grooms. Making wedding cakes is one of the best parts of what we do, and it brings us great joy to see the delight on a bride’s face when she sees her cake for the first time. If you’re planning a wedding in the near future, and you’ve been searching for a caterer in Big Flats, Corning, Horseheads, Elmira, or any of the surrounding areas, contact us. It doesn’t matter what size your wedding is. We’ve catered to small, intimate weddings as well as larger, more exquisite ceremonies. The most important thing is that you are happy with the results. We’ll make sure to surpass all of your expectations. Sweet-N-Saucy In Big Flats, NY: Light Lunch With A Hot Cup Of Soup, Anyone? If you hadn’t noticed, the warm weather we enjoyed last week seems to have taken it’s leave of us…at least for a little while. These colder temperatures certainly help us to feel a little bit more Christmasy, and the snow that keeps appearing on the ground is a sure sign that the holidays are right around the corner. When you’re out shopping with your friends, or when you just want to get away for a quiet, quick lunch that includes a hot cup of soup, Sweet-N-Saucy in Big Flats, NY is the place to go. Located in the amazing Wings of Eagles Discovery Center, Sweet-N-Saucy offers a very diverse lunch menu to suit anyone’s taste. If you’re in the mood for something light, but you want to have a delicious bowl of soup that will instantly warm you up, we have a great selection of homemade soups to choose from. Are you feeling hungry yet? There’s absolutely nothing like a warm cup of soup on these cold, winter days to take the chill out and energize you for the rest of the afternoon at the office, or to help you finish off that marathon shopping trip. Homemade is always the best, and when you have lunch with us, you’ll enjoy a wonderful time dining in the Wings of Eagles Cafe. Not to mention, you’ll always get a complimentary chocolate chip cookie to finish off your delicious meal. What are you waiting for? We’re looking forward to seeing you for lunch really soon. Don’t forget, we’re available to cater your big holiday party this year, or even provide you with cookie trays to serve at home or at the office Christmas party. There’s no order too big, so feel free to check out our catering menu for all of your holiday party needs. Everyone loves the holidays. No matter which one you celebrate, this time of year is really special for almost every family. What do your holiday preparations consist of? For most of us, it’s trimming the tree, wrapping presents and making baked goods to share with friends and family. For many people, it’s making Christmas cookies that takes the most time. It would be one thing if you could just pick a kind that you really like (like peanut butter or chocolate chip) and just spend a Saturday making a big batch of those. However, as you know, there’s a lot more that goes into Christmas cookies than just making one big batch of the same kind. How many weekends this month will you spend looking up recipes, purchasing the ingredients, putting everything together only to realize you forgot something essential, running back to the store, throwing a batch out because the kids distracted you and your burned some…you get the idea. Baking cookies can be a real hassle, but everyone loves them. Whether you want to be sure your cookie jar is stocked for the holidays, you’re participating in a cookie exchange, or you’re having a Christmas party, you have to have them. But you don’t have to bake them. Sweet-N-Saucy in Big Flats, NY has an incredible cookie selection that you purchase to complete your holiday baking, all at once. Wouldn’t that be fantastic? Even if you usually just go to the grocery store and buy some of their Christmas cookies, you know it’s not the same as when you have some that are homemade, and baked with love. That’s what you get when you choose one of our cookie trays. Also, it doesn’t matter where you live in the Twin Tiers. We have customers who come to us from all over – Corning, Painted Post, Elmira, Horseheads and all over the area. We’re located right in Big Flats, in the Wings of Eagles Discovery Center. So, we’re easily accessible for you too. Wouldn’t it be nice to spend your weekends enjoying your friends and family this year, instead of being stuck inside baking all day long? When you pick up a few cookie trays from Sweet-N-Saucy, that’s exactly what you’ll be able to do. 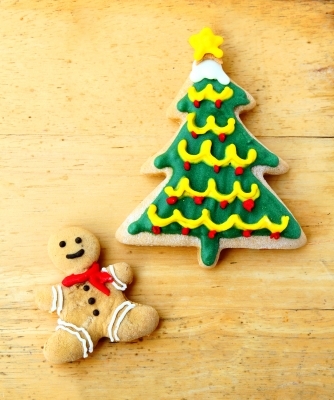 Contact us today so we can help you make your Christmas cookie selection! You know the ones we’re talking about. 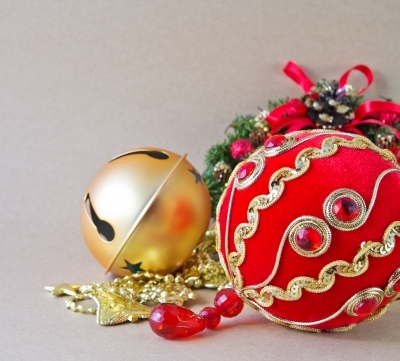 You’ve probably been to a few disastrous holiday parties, yourself. Maybe you’ve even hosted some of them. You spend weeks planning everything out. You have the perfect music selected, and you talked to everyone you know about who to use for your holiday catering company. The problem is, everyone had a different suggestion. That meant you just went with your gut instincts, and you picked a company that you hoped would do a good job. After all, if they’re in business, they must be a good company right? However, as soon as the catering company arrived with the food, you started to realize you had made a big, BIG mistake. First of all, the hot food you ordered wasn’t hot at all. In fact, it looked like it had been sitting around in a refrigerator for a couple of days, at the least. Then, of course, you remember how your meeting with the owner of the catering company went, and you’re really not all that surprised. You kick yourself for not getting tipped off during your meeting because the owner wasn’t very attentive to your needs. They didn’t have a big selection to choose from either, but you were in such a hurry to get going on the other aspects of your party planning, you didn’t think too much about it at the time. Oh…and let’s not even discuss the dessert tray you ordered. The dessert tray you wanted was supposed to be the centerpiece of the table you set up. It was supposed to be beautiful and captivating. Instead…they forgot it! To say the least, your party didn’t go very well. In fact, you were quite embarrassed to have even had the party in the first place, and it’s got you having second thoughts about your parties in the future. When you choose Sweet-N-Saucy in Big Flats, NY, you won’t ever have to have any of these concerns. In fact, we’ll impress you from the first time we sit down to talk with you. You’ll love how attentive we are to whatever your needs might be. You’ll also be impressed when we arrive with your order because the food will not only be hot, but it will be fresh and delicious. You’ll have all the desserts you want, including fresh baked pies, cookies, and other treats. This year, when you’re planning your Christmas party, don’t go with a catering company that has let others (or even you!) down in the past. We’ll take care of every last detail, which will leave you to simply enjoy your guests, and yourself. If you’re looking for a holiday caterer for your upcoming Christmas party, you’ve come to the right place. Contact us, and we’ll make sure this party is the best one you’ve ever had. It doesn’t matter if you’re planning a big party for everyone you know, or if you’ve been put in charge of your office Christmas celebration. This year, Sweet-N-Saucy wants to be a part of all of your holiday plans. The holiday season is about getting together with the people you care about the most, as well as enjoying good food and delicious Christmas desserts. Food is such a big part of any party, and really, it’s the quality of the food that will indicate whether or not your party is a success. Sweet-N-Saucy has a wide variety of food to choose from, and it doesn’t matter how big your party is – we can handle it! One of the best things about choosing us for all of your holiday catering needs is the fact that we understand that every party is different. You deserve a personal touch for your upcoming event. That’s why we offer plenty of options for you to choose from. We want to make your event a success, and by choosing only the best catering business in the area, you’re guaranteed to enjoy every bite. We have a proven track record of success, with many happy customers. Your guests will enjoy every minute of your party, and we’ll be honored that you choose us to share this special time with you. If you’ve ever worked with a catering company that gave you food and service that was less-than-satisfactory, you’ll be pleasantly surprised when you work with Sweet-N-Saucy. In addition to a delicious lunch or dinner, you’ll have your choice of any of our amazing Christmas desserts too. Plus, you won’t have to wonder whether or not you’ve chosen the right company to cater your event. From the moment you sit down with us, you’ll know you made the right decision. Choose Sweet-N-Saucy to cater all of your holiday parties. After all, we’re catering to your dreams. For more information, contact us today! It’s that time of year again! The holidays always bring out the joy in everyone. People love going to parties, making treats to bring to work for their co-workers to enjoy, and buying gifts for everyone on their list. However, making your own baked goods for this time of year can get pretty time-consuming. Think about it. How many dozens of Christmas cookies, desserts and pies do you think you’ll be baking? If you’re like most people, all of that work really cuts into your holiday shopping time. Not to mention, pies and cookies can be difficult to make, and they don’t always turn out the way you want them to. Take your pies for example. Maybe you’re one of those people who have a tried and true recipe that’s been passed down through generations, and each year, you make baked goods that are the centerpiece of the party. Most of us don’t have that type of skill in the kitchen. In fact, we would rather get our baked goods from a place that creates homemade pies and cookies that will taste great, and free us up to focus on other things around this time of year. If you’re looking for a way to save your sanity in the kitchen this year, we have great news for you! Sweet-N-Saucy in Big Flats, NY has everything you’ll need to put on a beautiful baked goods display. It doesn’t matter if you’re in charge of the desserts for your office Christmas party, or if you’re having a small get together in your home for Christmas, there’s no need to fret about whether your desserts will taste good. 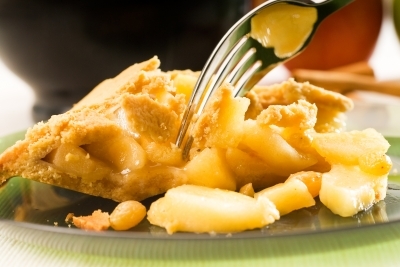 Here at Sweet-N-Saucy, homemade pies are our specialty, and we’ve been serving our customers in Elmira, Horseheads, Corning, Painted Post and Big Flats for years. This year, don’t tie yourself down to the kitchen. Instead, spend time with the people you truly care about, and make each of your shopping trips count. Let us handle the desserts for that big party, so you can really enjoy the holiday season. If you’d like to place your order for our homemade pies, Christmas cookies, or other delicious desserts, we’re waiting to hear from you! Contact us today! Get All Of Our Updates Sent Directly To Your Email!